Ariel Bowman was raised in Dallas, Texas where her parents are both artists. Growing up, she spent a lot of time outside with animals. The undeveloped woodlands that surrounded her childhood home inspired her to create art that focused on the natural world. As a sculptor, Ariel works in clay using a variety of mixed media techniques. Clay is the most influential material that Ariel has worked with. 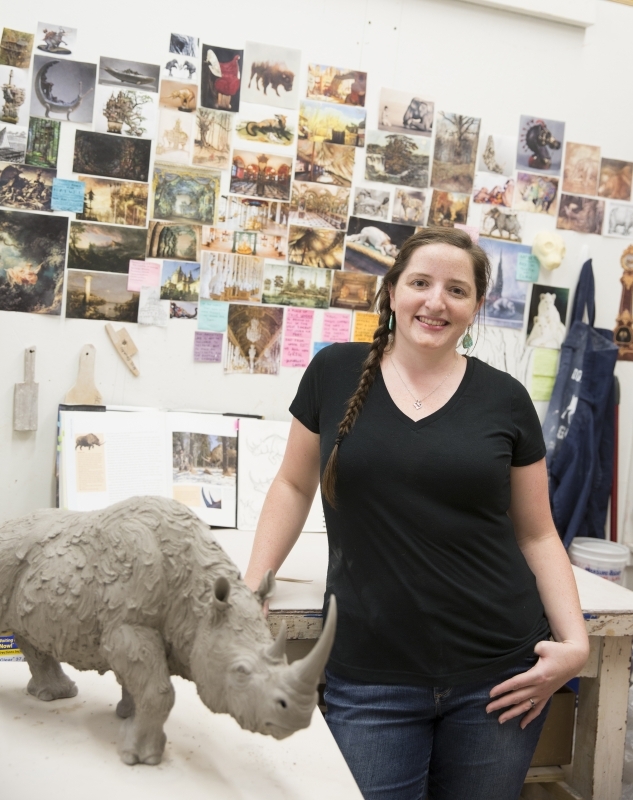 She earned her Bachelor of Fine Arts degree in ceramics from the Kansas City Art Institute in 2011, and an Masters of Fine Arts degree from the University of Florida in 2018. She has studied abroad at the International Ceramics Studio in Hungary and was awarded the Regina K. Brown NCECA undergraduate and graduate fellowships. Ariel has been an artist in residence at the Armory Art Center and her work has been collected by the Kamm Teapot Foundation, the Belger Arts Center, and the San Angelo Museum of Fine Arts.